If you are looking for a rental 4x4 in the UK that offers a combination of luxury, performance, economy and space then our stunning grey Range Rover Vogue 4.4 Autobiography will certainly tick all the boxes. It is adventurous, classy and above all super-luxurious, all wrapped up with a casual personality we know you will simply love. If you are looking for a rental SUV that enables you to cover loads of miles in comfort with 4x4 ability, then we believe there are not many options that come close. 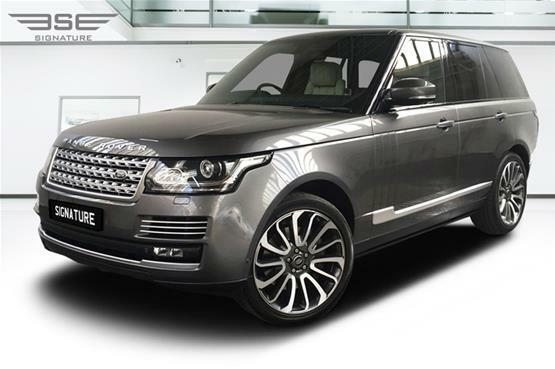 Range Rover have selected the right engine for this model, which received a facelift late last year with fresh styling and bags of new interior technology to get your pulses racing. The massive great 4.4-litre V8 performs strongly, propelling the car’s 2,570kg kerb weight with ease. Put your foot down and the SUV will accelerate from 0-60mph in just 6.5 seconds. Don’t be fooled by all the power though, this car is incredibly refined too. On the motorway it sails effortlessly along the tarmac all with an impressive bassy growl under full throttle. This is a big rental Range Rover Vogue 4.4 Autobiography UK stands at exactly five metres long and almost two metres tall. Plenty of space for all the cars tech, which includes 20-inch wheels, Matrix LED lights, keyless entry and a Meridian stereo. There is plenty of space and a plethora of wood, metal and high-gloss plastics which create a beautiful environment for 4x4 car hire journey. The commanding driving position is unrivalled by near enough any car on the road, and the infotainment system comes with Apple CarPlay and Android Auto. Land Rover has gone over and above to deliver a truly cosseting experience for driver and passengers alike on this model, making it a great choice for a long-term self-drive hire SUV. This is all thanks to an air suspension system with all-new aluminium chassis arms, active dampers and anti-roll bars for the last word in rolling compliance, along with new ‘low-hysteresis’ air springs on the front axle which are designed for a quieter, smoother secondary ride. For a big car this model still has ability and capability off road. The Range Rover can tow 3500kg, while ground clearance has increased to a maximum of more than 300mm and wading depth to 900mm, with the engines drawing air via a gap between bonnet panels. 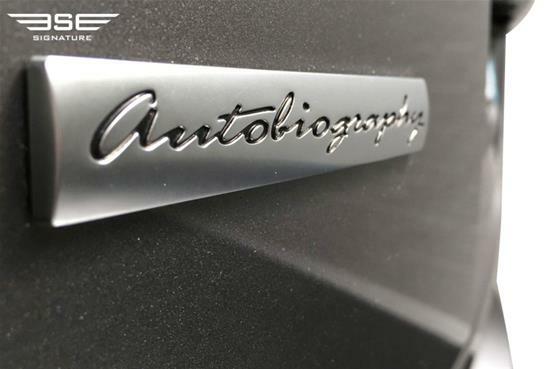 When you step in to the Range Rover Autobiography Vogue interior cabin, and it is quite a step, you can settle yourself in to the standard electrically adjustable, heated, cooled, massaging, leather-covered seats and take in the luxurious ambience of the surroundings. 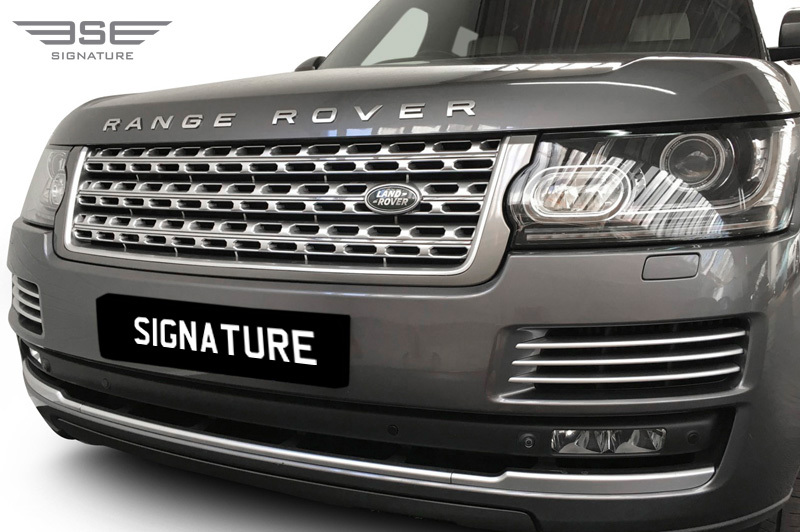 This car is a Range Rover Autobiogrpahy Vogue long wheelbase model which exudes an air of quality and luxury throughout with quality materials and craftmanship in abundance. We know you’ll be impressed on your SUV rental experience. 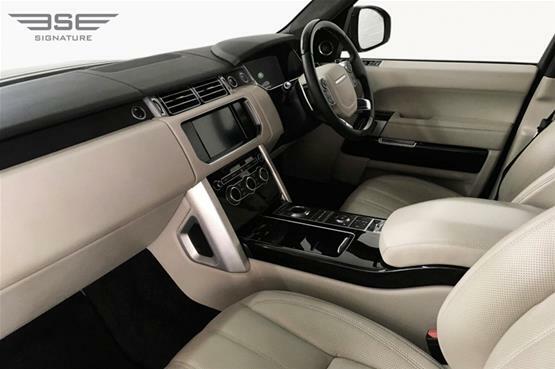 The driving position is excellent, as you would expect from Range Rover, and the seats are top notch, you really get a commanding view of the road ahead. It is not hard to see why this Range Rover rental car is known for being a comfortable long-distance cruiser when it’s so easy to get comfortable behind the wheel. The steering wheel adjusts up and down as well as in and out in addition to seats that have 20-way adjustment and four-way lumbar, along with a memory for the driver’s seat position. This Range Rover hire car accommodate two grown-ups alongside each other, even with the large central armrest and individual armrests for each seat, there’s more than enough shoulder room to go along with the huge amount of head room. Space in the front is plentiful, as it is in the rear, where passengers can enjoy electrically adjustable seat backs. The 909 to 2030-litre boot is accessed by the traditional split tailgate, whose separate elements are both electrically operated as standard. 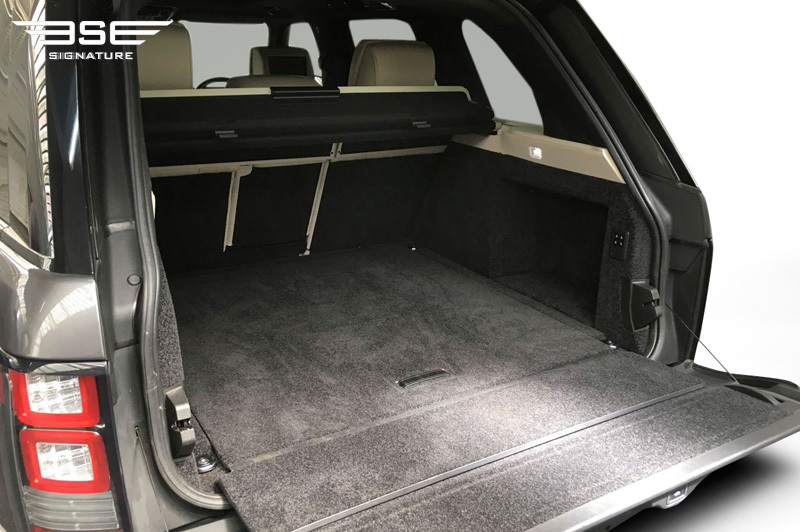 There’s a decent selection of cubbyholes available to use on your 4x4 rental with a central storage area, an oddment bin under the main armrest, sizeable door pockets and a glovebox with two separate compartments. 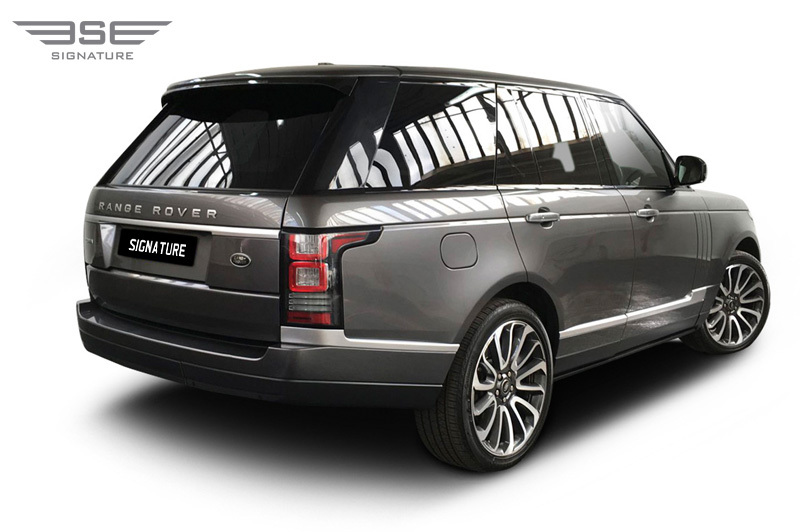 Despite this Range Rover having considerable maximum wheel travel, it stays particularly stable on higher-speed roads that dip and roll and lean, thanks to its active dampers and anti-roll bars. In corners, meanwhile, it is astonishingly steady for a car of such size. This 4x4 is also crazily easy to enjoy; it’s easily placed in corners, has good visibility and offers supreme confinement from bad surfaces and uneven roads. 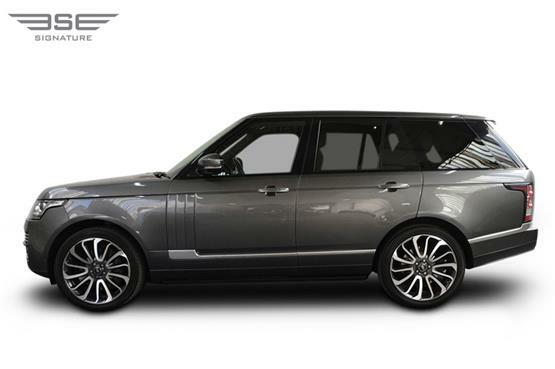 These are the times when a Range Rover Vogue hire is as quick as anything else on the road. 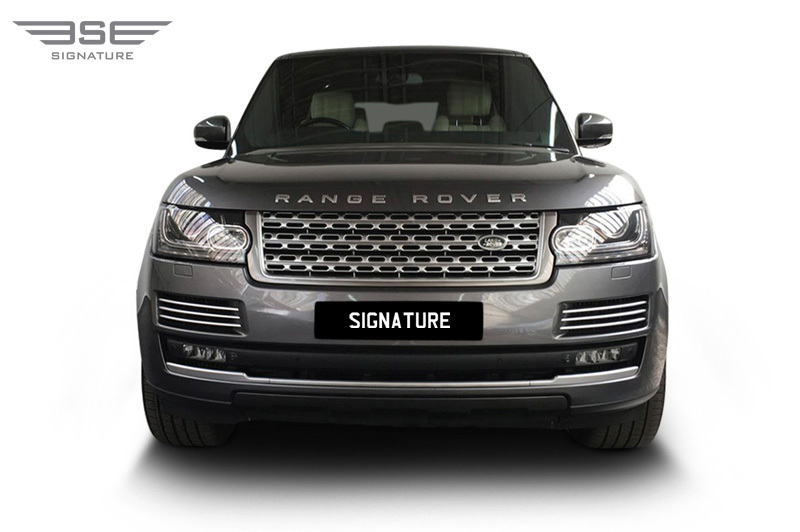 With high levels of security and usability, it is no wonder that 4x4s have become the executive transport of choice in town or country in variable weather and road conditions. That the 4999mm-long, 1983mm-wide Range Rover can feel so manageable in such circumstances is impressive. This new Range Rover Vogue Autobiography model features a cross-linked air suspension which provides a mix of ride and body control that is hard to match in any other vehicle. You can also raise and lower the entire body of the car by depressing buttons on the centre console. Access height lowers the car to help getting in and out, while off-road height raises the car up to help tackle muddy terrain. On your Range Rover self-drive hire, you can experience driving this tall, two-tonne, top-heavy SUV which is more agile than you may expect. The drive is precise, and you’ll feel confident in most situations, ensuring you to place our rental Range Rover Vogue Autobiography 4.4L accurately on the road. 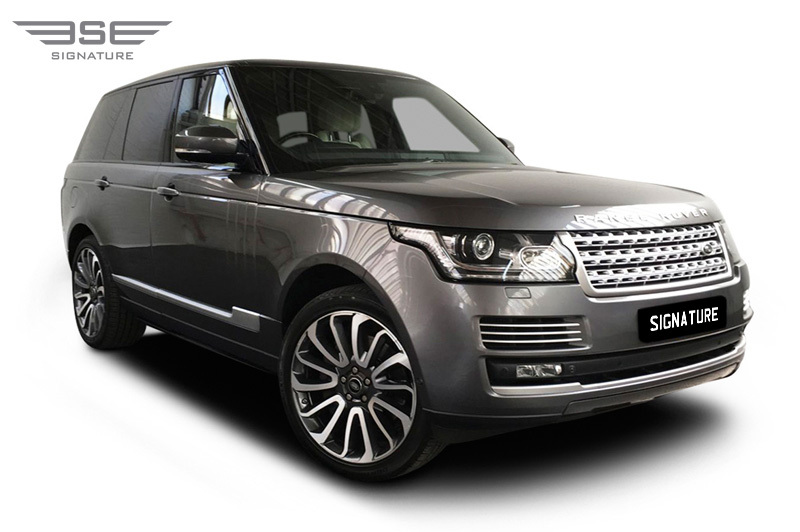 If you want to rent this Range Rover Autobiography for a long excursion, then you will enjoy how impressive this 4x4 cruises at high speeds. 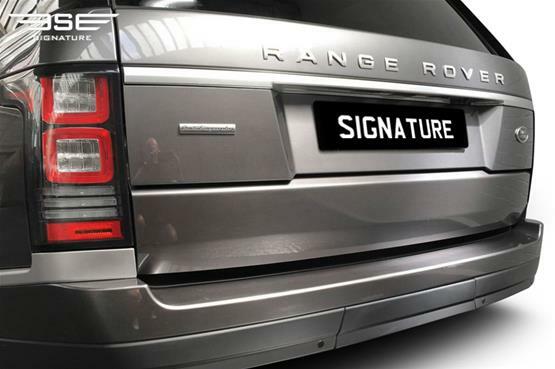 It does an impressive job of protecting you from the elements, thanks in part to an acoustically laminated windscreen! As with all our Range Rover rental 4x4s, you can expect top notch technology throughout. The rear-view camera is particularly useful as are front and rear parking sensors, ideal for hiring this SUV for city travel and parking. You can take advantage of the 10.0in touchscreens located towards the top of the dashboard, and another below it, just in front of the gear selector. This second screen is the one that you use to access the air conditioning and off-road modes, but you can also operate the multimedia system while the main screen displays the navigation. 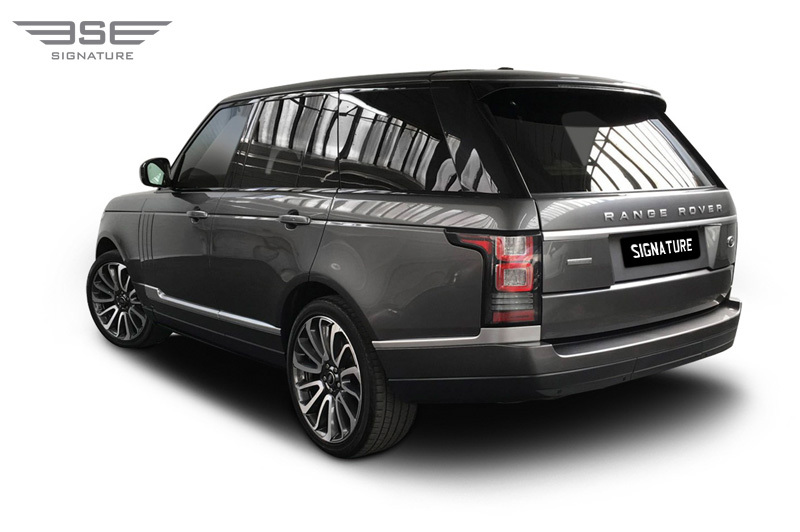 This rental Range Rover features heated and folding wing mirrors, xenon headlights, keyless entry and start, 20in alloy wheels, along with JLR's terrain response system on the outside. 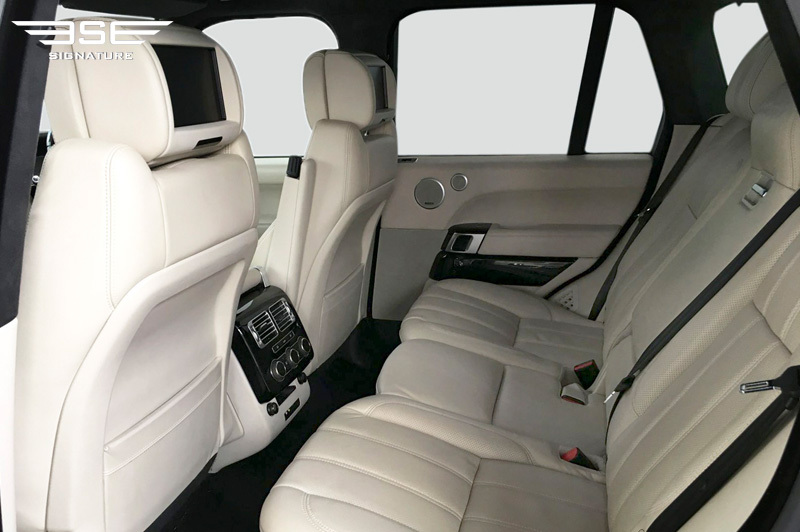 Inside there are perforated leather heated seats and a heated steering wheel, tri-zone climate control, reversing camera, and Land Rover's autonomous safety technology, alongside JLR's InControl infotainment system complete with Bluetooth, DAB radio and a 380W Meridian sound system. Our Autobiography-trimmed Range Rover model comes with Noble plated paddle shifters, a sliding panoramic sunroof, adaptive cruise control, four-zone climate control, massaging front seats, reclining rear seats and a lane guidance system, while the über-luxury SVAutobiography Dynamic models gain red Brembo brake calipers, a quad-exhaust system, dynamic chassis, suspension and steering, 1700W Meridian sound system and 22in alloy wheels making this Range Rover Autobiography hire car a cut above the rest. 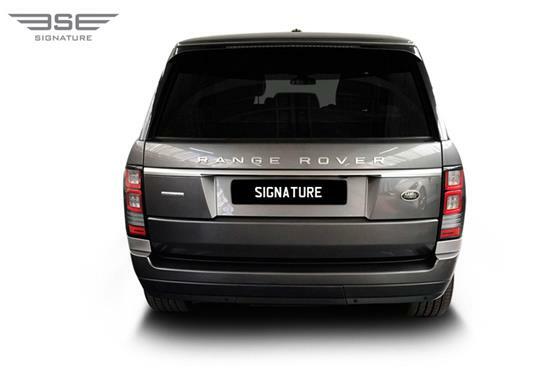 If you are looking for a Rnage Rover Vogue Autobiography rental 4x4 model, then call Signature Car Hire today and book your dream drive.